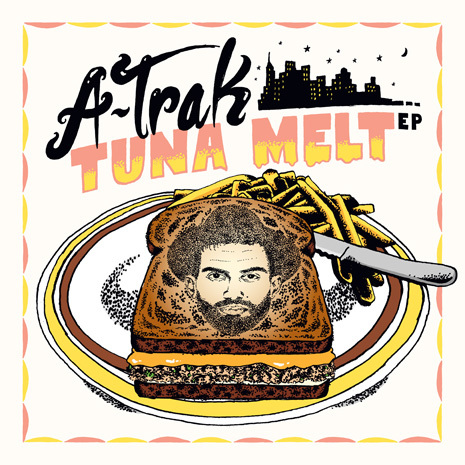 On his Tuna Melt EP, A-Trak cooked up a perfect dance sandwich with friends like Tommy Trash and Oliver. But you know FG stays hungry for more! Sink your teeth into the gloriously stacked remix package, featuring a refrigerator full of legendary DJ heroes and modern festival masters adding their own ingredients to Tuna Melt hits. Les Rhythm Digitales, Q-Bert, Jack Beats, The Partysquad, Funkin Matt and Grandtheft all provide tasty new takes, while Trizzy himself teams back up with GTA for “Landline 2.0.” Sleeve by Dust La Rock.